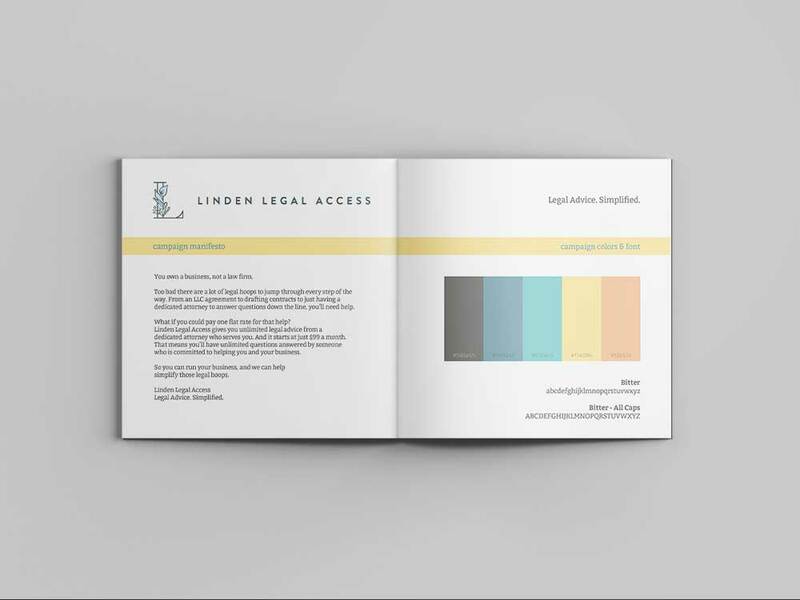 Linden Legal Strategies, a Richmond-based law firm, created a new division—Linden Legal Access. The program allows small business owners to ask all their legal questions to a designated attorney for a flat monthly fee, rather than charging them steep legal fees every time they need help. Linden Legal Strategies wanted to provide a new subscription-based model for their legal services. But, since this was such an innovative model in the legal field few had heard of it. We were charged with the challenge of spreading the word about how it works, while also creating demand for a brand-new type of service. 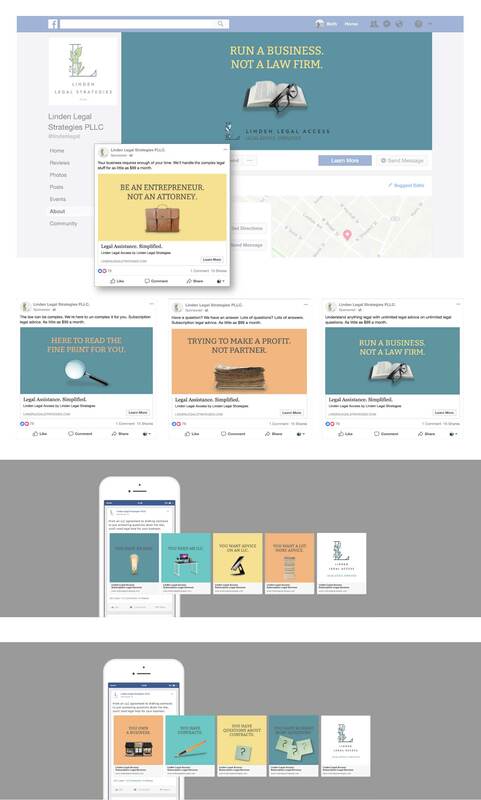 To get the word out about this new subscription-based legal model, we developed a social media campaign for Facebook, Instagram, and LinkedIn. This campaign focused on small business owners’ perceptions of legal fees. Through our research, we uncovered a key insight that seeking legal advice is confusing, expensive, overwhelming, and impersonal. This insight then led us to our strategy; Linden Legal Access makes legal knowledge accessible for small business owners. From there we found our solution — create a social media campaign with a unique point of view that you won’t get from any other law firm. The social media campaign generated dozens of new clients for the Richmond base law firm, expanding the brand’s reach and helping the firm achieve their goals.